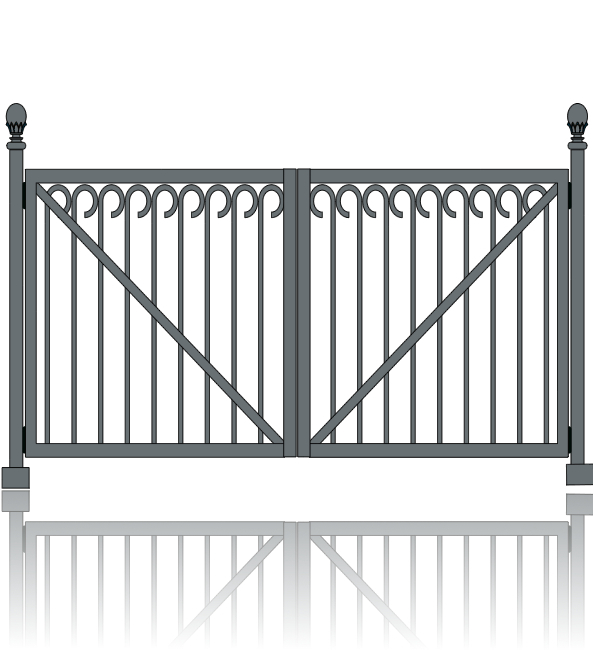 Euro is a flat top gate best suited to small and medium sized gate ways. The candy cane style vertical rails give this gate great character. Euro is shown here on round steel posts but is also suitable for hanging on brick or stone pillars. As with all Gatetec gates this is a made to measure product to ensure your automatic gate is the perfect fit for your property.